Modular asset creation – what is it? Modular building is rapidly becoming more commonplace in creating digital environments for both games and visual effects. The term originates from real world construction techniques where modular buildings or homes are prefabricated. These consist of several sections called modules which can be placed together in different ways (side by side, end to end or stacked), giving a wide variety of configuration and style. Shooting an entire city through a camera can be time consuming and costly, often proving too difficult to get the shots necessary for a scene filmed in the public arena. Creating these assets digitally offers greater flexibility. Most cities are full of similar buildings, which means creating them digitally in a modular way is viable. This reduces the need for several artists to work on individual assets for the city. Instead, several assets can be generated from one piece of geometry (walls, roofs, windows, railings) and pieced together to create unique looking buildings, whilst maintaining a uniform style to suit a certain era. Compiling a library of these assets allows other modellers to build new creations, without the need to build from scratch. This is also known as ‘kit bashing’ in the modelling world. With any project, you’re only as good as your references and it is vital to get as much information on the variety and richness of whatever the project demands. You don’t have to reinvent the wheel every time (only when it is called for with sci-fi projects set in the future)! Reference is key and when possible, you should shoot your own references and textures to build up a rich bank of patterns, shapes, colour and any necessary grunge or wear and tear on the textures (stains, broken windows, splatters, marbling, and crackles, etcetera). When it is not possible to gather your own textures, buying or using royalty free textures would be an alternative. 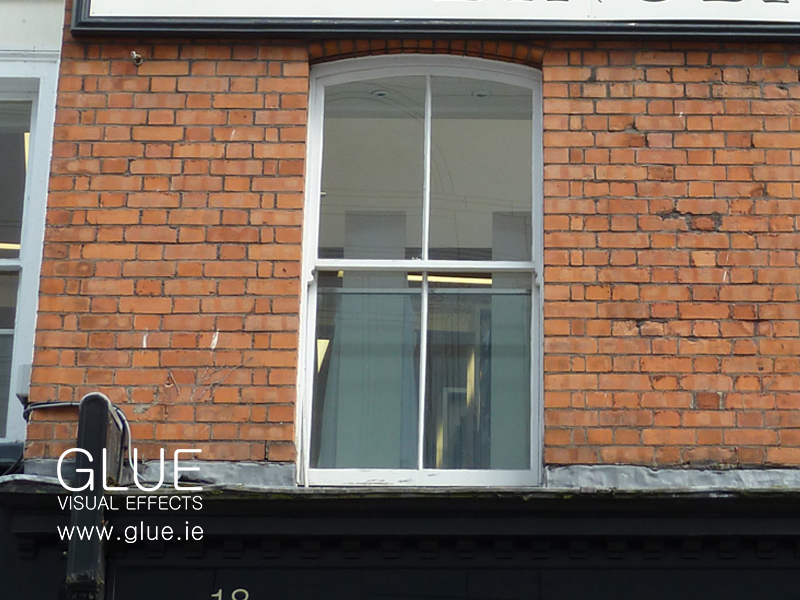 For a recent project, we realised just how lucky we are to be based in Dublin, a city with such a rich history of Georgian and Victorian and Gothic buildings, some even 200 years old. With a keen eye for detail you would be overwhelmed with the variety of the buildings on one street (like say College Green in Dublin City Centre), with so many different designs, details and intricacies of the different eras. Consideration must also be given to IBL (Image-based Lighting ) to light your scene by using light calibrated to real-world conditions to further add to selling the shot. Another point to remember is to consider using HDRI information to start you in a good place when you coming to the lighting stage. When taking reference photos, ideally you should have the camera on a tripod locked off and perpendicular to the wall you plan to shoot for reference for the texture library. When you are shooting textures (and if the universe is unfolding as it should) an overcast day is ideal for texture shooting. However, if you live in a city where it is sunny all the time you should use a polarizing camera lens filter to remove any glare, hot-spots or reflections and later increase the colour saturation of the texture. 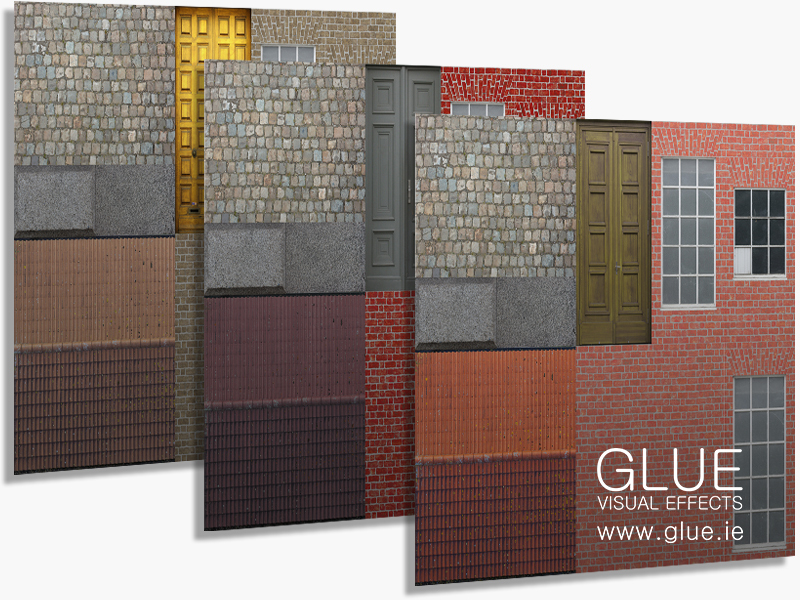 This is an important tool for any texture artist looking to get the best quality of work; when you add your passes and various textures (bump, normal, diffuse etcetera) you end up with a very accurate replication of the object with its’ seamless textures sealing the look set out in the project brief . When planning a texture sheet, you must always refer back to your brief and storyboards and discuss to determine the size needed for the shot. If the textures are for an asset that could be used as part of the hero shots, then bumping up the resolution is a must (You may need to create 6K, 8K , or 16k for macro close-ups). If the shot requires seeing less of the building or is in the background and would have depth of field being applied then it would make sense to have the texture sheets as small as 1K or 512 pixels squared per meter. You must also consider whether you will be working on an 8-Bit / 16-Bit or 32-Bit colour space and what grid system is being used. 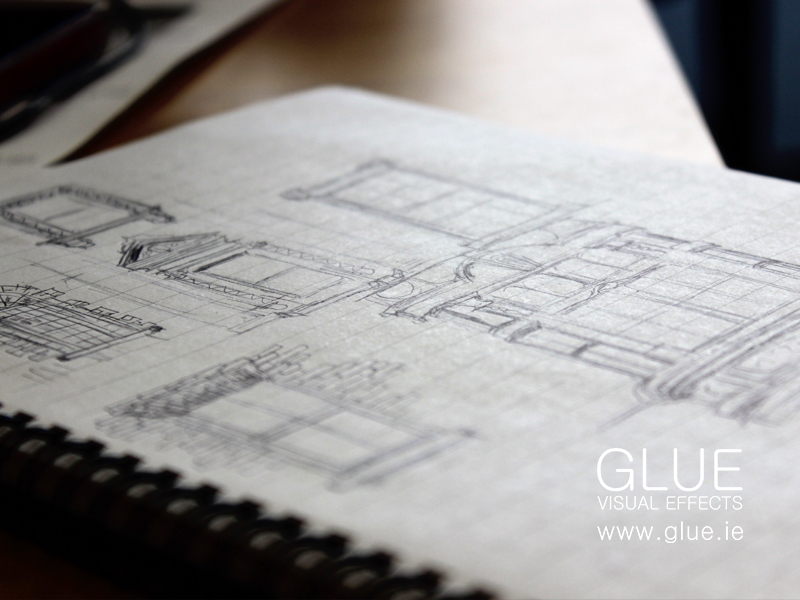 Once you have discussed this with your team deeply (and a couple of cups of tea/coffee later), having all agreed on the size and the right colour space, it is then time to move on to sketching out the texture sheet layout, planning out the location for each of the textures to fit into. The next process is to generate maps for the normals, bump, displacement and SSS (diffuse beauty passes depending on what proprietary software you decide to use to generate these passes). The aim should always be to keep a low-poly Geo with high quality textures to free up rendering time. Rendering time in any production is key. It is important to vary texture colour, hue and saturation to break up the pattern repetition of the texture tiles. Once you have your texture sheet planned out, you are ready to start modeling the different elements. At the modeling stage, make sure to work through the prefab list methodically, building the necessary components that have been approved by the different departments involved in the digital city element of the project. Systematically and procedurally creating components will aid in the build of the building(s) to create the digital city. The common practice is to start on modeling a basic wall using real-world measurements to achieve the task set out by producers or team leaders, this is important when you come to the lighting stage further down the pipeline. The aim should be to make a flexible building-block set for the person that will be dealing with on-scene assembly. Proper symmetry is key in modular modeling. Remember to make the wall, corner wall, the inverse of each and to include variations of windows and doors. Generating a mirrored image of the model will help create variety to your build. You can also add chamfered or bevelled corners to create a bay-window type walled corner with varying types of blank sides or sides with windows or doors. You should start the UV’ing process when you finish the plain wall geometry, so that when you duplicate it, you wont have to UV map every corner that is made. This is a great time saver. Also worth noting, is the position of the origin of your gizmo. It is important to place it at a vertex that will snap to another, making components alignment more accurate. 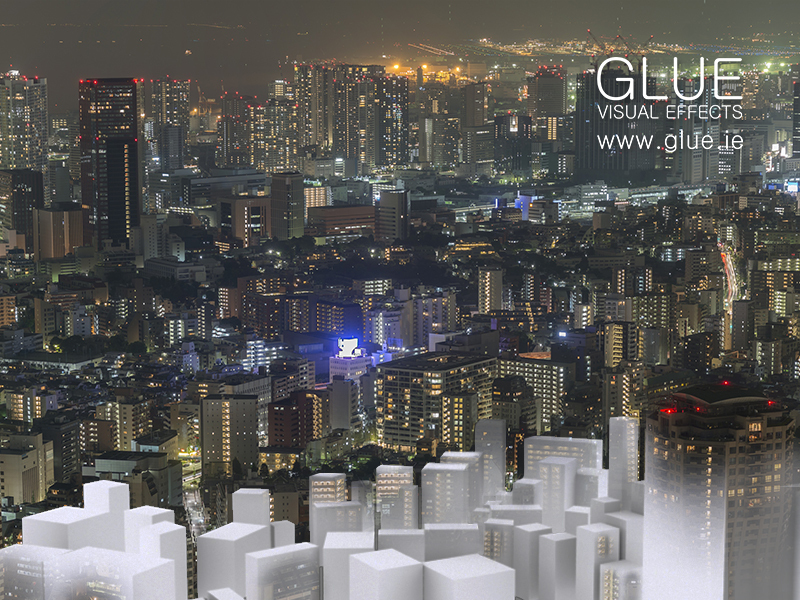 Once you have have all your elements, it’s time to start assembling your buildings from the components and adding the HDRI information and the IBL system to achieve the final look.